We got some blazing beauties in the first round, which featured what I call the Three Sisters of White Rhoneland: viognier, marsanne and roussanne. We discovered to our delight, a couple of viogniers that blew our doors off, including a citrus, peach and spring-flower packed punchbowl 2010 Field Stone from Alexander Valley, at 14.1% and $25. This one has that oozy peach skin finish I adore. But not far behind on the vio-love meter is the tropically inclined passionfruit, mandarin orange and tangerine dreamlike 2010 Miner at $16. A lot to love at a tiny price, this comely Rhone is as warm and summery in the mouth as toes in the Malibu sand. And then there is the piece de viognier resistance, the 2011 Fortunati from Napa, at 14.2 and $28, filled with narcissus, lilac, minerality and flint, so lively and drinkable, we could barely bring ourselves to spit. The distinctive 2011 ROAR viognier exemplifies barrel-fermentation, with creamy buxom butterscotchiness that oozes across the palate like a mango pana cotta with coconut cream and toasted almonds: a viognier for wood lovers! Delish, rare, and from Gary Franscioni’s new Sierra Mar vineyard in the Santa Lucia Highlands: $40. Yum. Seek it out. On the opposite side of the spectrum, the 2011 Nottingham Cellars viognier (Arroyo Seco, $24), is a delightfully bright, athletic and light on its feet version of this often overburdened with tropical ripeness Rhone varietal. Here, it is allowed to be the athletic tomboy, racing across the palate with speed and grace. In the viognier super-model style, RoxyAnn from the Rogue River Valley of Oregon, delivers up creamy baked pears, with a mouth-filling density very much like creme fraiche atop a grilled peach strudel: phenomenal wine! From Santa Clara Valley, Guglielmo’s 2011 lusty marsanne shows off rich tropical fruits and coconut – in fact, it smells like a beach blanketed by babes lathered in tanning butter. Loved the Meyer lemon, bosc pear, mango, hazelnut and dried apple flavors. For $20, well-executed for this often overwrought varietal. Still on the marsanne bandwagon, we found a lovely example from Tallulah Wines. Called “Como,” it hails from Napa and displayed beckoning aromas of tropical bread pudding, is packed with buttercream filled toasted brioche and apricot and pear pastry. Is it possible for a wine to smell so much like a French bakery on a Saturday morning? This is a dead-on execution of marsanne, insanely creamy, yet sufficiently packed with acid to carry it off. Brilliant at 14.1% and $28. Another stunning single sister was the 2011 Hagafen roussanne, bursting forth with grilled plantains, starfruit and casawba melon, with a hint of banana pudding on the finish. Only 13.5% and $18! And, for bragging rights, recently served at a White House State dinner. I think Rhone blends are the cat’s meow, and by and large are far more consistently fabulous than their single sister counterparts. In particular, the white blends we coaxed out of hiding proved worthy of the hunt, like the Ecluse “Prelude” from Paso, a blend of 48% viognier, 28% roussanne and 24 grenache blanc, with intriguing aromas of honeysuckle and honeycomb candles burning on an altar. White peach and vanilla custard with toffee make this a rich experience for $28. A lovely two-step is the Jazz Cellars 2011 Rhapsody marsanne-roussanne blend from SaraLee’s vineyard in Sonoma, $33. It’s worth it for the layers upon layers of nectarine, ripe comice pear, lilac and sugar pear loveliness and the texture is raw silk divine. If all these Rhones made you curious for a new adventure, you might want to make plans to attend “Romancing the Rhones,” Saturday, July 14, at the Old Mint in San Francisco, where you’ll have the opportunity to taste 40 of the top finalists from the Rhone Shootout blind, and vote for your personal favorites. 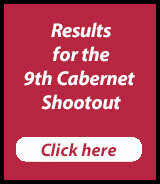 All the wineries participating in the Shootout are invited to pour, so you’ll have a wonderful array of great wines to choose from and you’ll certainly develop a new appreciation for Rhones, both whites, reds and rosés. 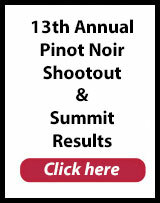 Buy tickets here: http://affairsofthevine.com – the perfect way to celebrate Bastille Day! Next time….we’ll give a sneak peak on the reds!